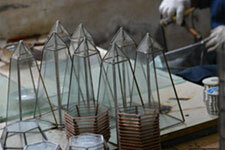 Yinuo is a professional manufacturer of glass terrariums and solder glass crafts in China. Our main products includes glass terrariums, glass planters, hanging terrariums, solder glass boxes & cases, soldered frame and more. We focus on manufacturing handmade terrariums and solder crafts then shipping products to North America, Europe and around the world. Our experienced team of project managers, engineers and QA specialists to manage manufacturing projects and ensure product quality from demand to delivery (inquiry, design, materials, production, package, shipping). Yinuo provides customized glass terrariums, solder glass boxes, soldered glass picture frame and air plant hanger manufacturing services. And our engineers will provided suggest according to design drawings or customer requirements. 1. Send us the drawings or product details (materials, color, size, quantity and special requirements). If you only have a idea, you can provide a picture or send the samples to us, we will help you designed it and sent to you for confirmation. 2. Given quotation based on your requirements. We could discuss over emails or phone calls to improve the design, drawings, dimensions and materials, package and shipping. 3. Sample confirmation: send the prototype or samples for you to confirmation. 4. 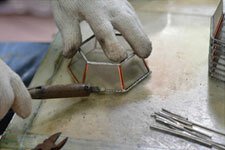 Mass production: move to mass production after your confirm to the prototype or the samples. 1. Low cost implementation and cost control: Compared to US and Europe factories, China more than 30% cheaper. 2. 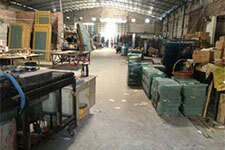 We had 5 years of manufacturing experience and the working experience of workers more than three years. 3. Good communication: English-speaking and specialist international trade processes and standards. 4. One-stop Service: Made in China (You'll provide specs, drawings, samples, photos...). We will manage manufacturing, QA, custom clearance and ship products from China to your port, to your door, or directly to your clients.